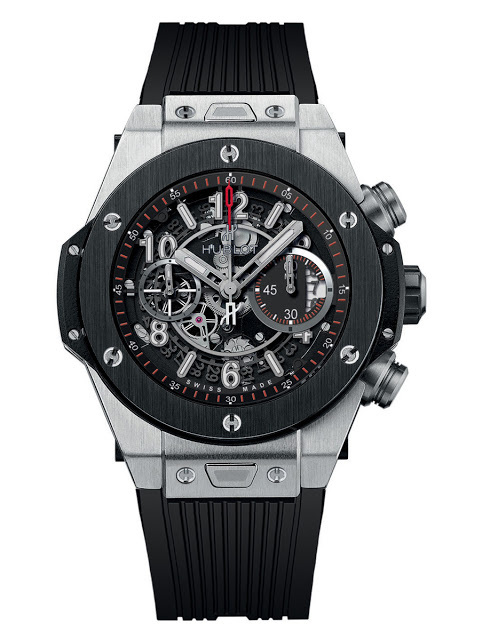 The new Hublot Big Bang Unico watches are the first Big Bang chronographs equipped with the in-house Unico movement. Though the Big Bang Unico looks similar to the original Big Bang (and every other Hublot), there are noticeable changes compared to the original Big Bang. For one the case is now larger, at 45.5 mm wide. 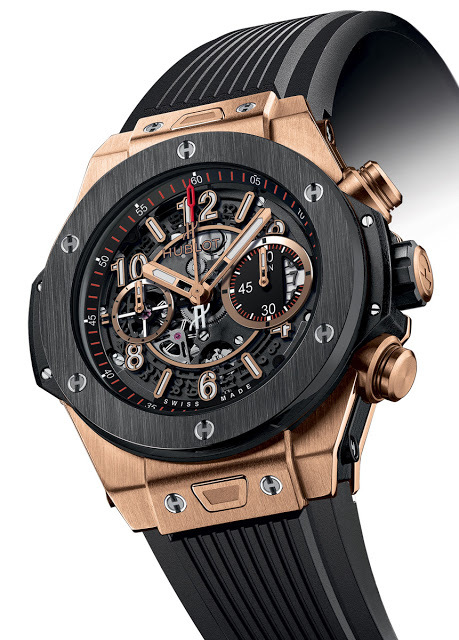 And the chronograph pushers are round, which is unusual for a Hublot. Also, the case has the push-button mechanism to enable easy swapping of straps, which was first used in the Big Bang King Power. 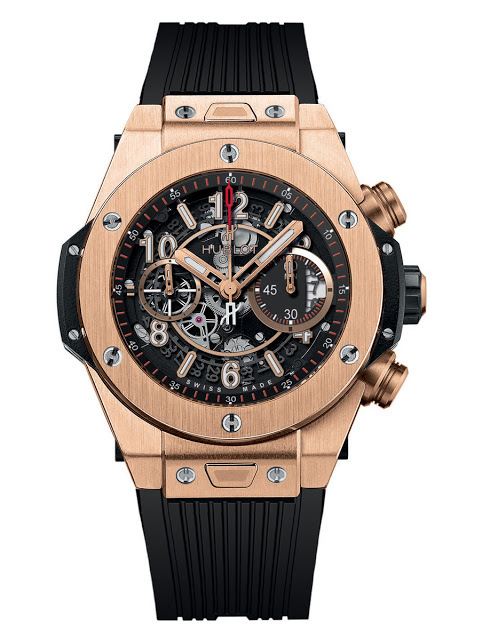 The Unico movement is made by Hublot, and it is a flyback chronograph with column wheel, as well as silicon escape wheel and pallet fork. It’s about time the Big Bang was upgraded, since the original Big Bang – which made its debut in 2005 – is beginning to look dated given with the multitude of imitators. More importantly the Valjoux 7750 movement is now difficult to accept for a watch of this price range. That being said, this does not replace the Big Bang for now, instead it is an additional line.